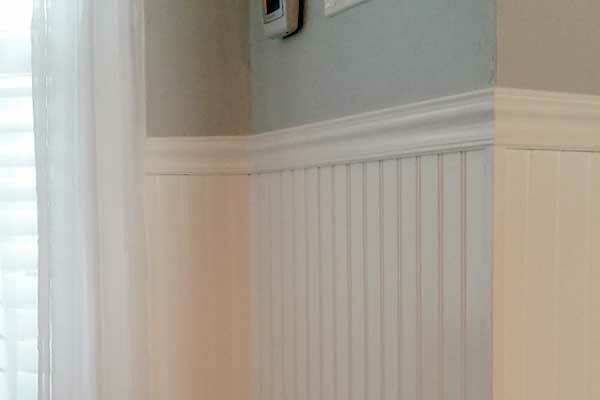 A beadboard installation on your home entry, walls or bathroom can give your room a seaside or cottage theme. Are you looking to add beadboard to your home? Beadboard is a great alternative to tile in a bathroom because it is durable and can be painted a variety of colors. Beadboad can be installed at almost any height. Popular uses of beadboard include accenting a bathroom wall, interior wall, mudroom, kitchen backsplash or on a ceiling. 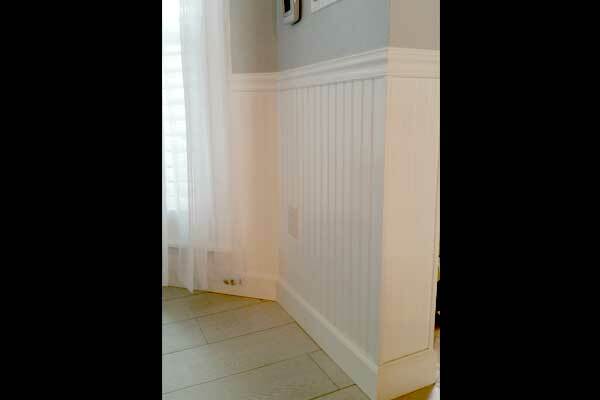 Beadboard typically is intalled at the desired height with a chair rail at the top and baseboard at the bottom. 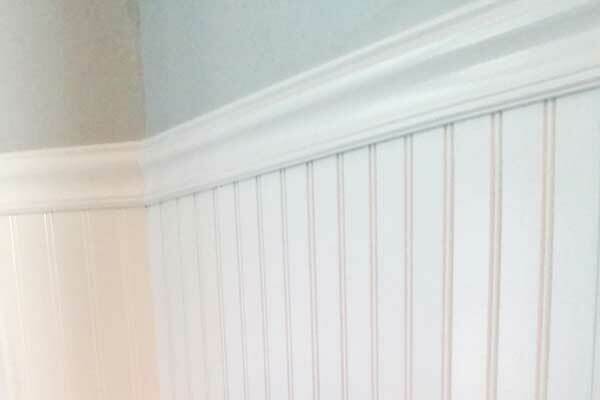 At Disctinctive Contracting, we can help with your beadboard installation. We'll work with you to make your cottage decorating ideas a reality. Just email or call our Cape Coral area carpentry team today to get your free estimate.